Pie takes a backseat to cake, largely because of its limited decorative possibilities — fancy latticed crust can't compete with buttercream roses and fondant zoo animals. If pie is going to do battle with cake, it can't show up as an elegant little sliver (don't bring a tart to a pie fight). It's got be be some serious pie. My money's on the triumvirate of cream pies at Toni's ($3.99). (Scoff if you will at the truck-stop vibe, but the Thai truck took home best cooked oyster at the fest last year.) The crusts and fillings are made from scratch — that means flaky layers you actually want to eat all the way to the edges. The pies are brimming with great heaps of milk chocolate filling (take a break from dark for just a minute, will you), coconut filling with big shreds of the stuff, and vanilla custard with slices of fresh banana. On top of each broad wedge are peaks of whipped cream — which beats gummy fondant any day. 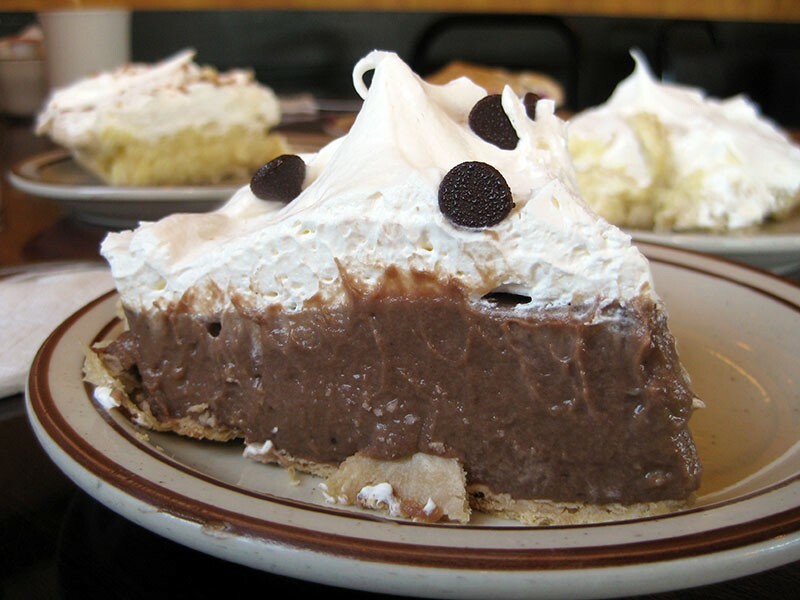 Chocolate cream pie at Toni's. Yippee-pie-yay. 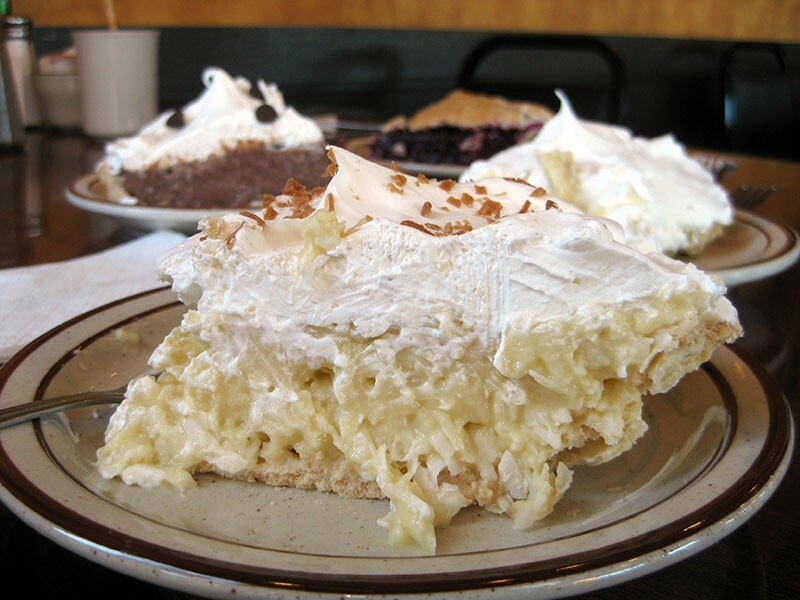 The cream pies are especially good in pairs (coconut + chocolate/banana + chocolate/coconut + banana) or all together (because what is there is no afterlife and this is it?). 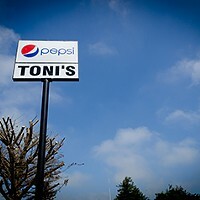 This means you may have to form an unsteady alliance with your fellow diner(s) and order all three. Your level of intimacy will determine whether you dart around from plate to plate with your fork or divide the pieces and slide individual portions gingerly onto your own plate. Either way, keep your friends close and your pie closer.